Humour, Lew Hanson said, “is essential to making sense of our times.” It reflects the state of the world. What, says comedian Ward Anderson, “could Eminem be rapping, angrily, about now? He is among the richest people in America.” Is his fleet of fancy sports cars in need of an oil change? What we laugh at or with and why is a key to our goals and fears. “Laughter is protection,” says Hanson, loosely rephrasing Freud. We pretend to take lightly, what we believe most serious. “When the audience laughs, I am a comedian,” said Buddy Hackett. “When they don’t laugh, I am schmuck.” Humour and its most popular form, today, stand-up comedy, ideally leads to laughter. “You don't realise how little people like to read until you write a book,” says Anderson; he has written two. When he was eighteen years old, Ward Anderson, above, joined the young comedians club at University. For fifteen years, he toured comedy clubs, in Canada and USA, forty-six weeks a year. 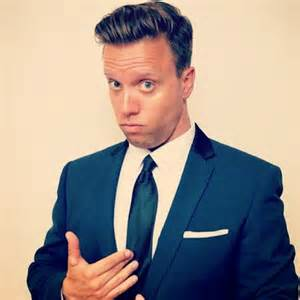 Today, he co-hosts a weekday radio show, “Ward and Al,” with comedian Allison Dore, on SiriusXM, channel 167; he continues to do stand-up. Stand-up comedy began in the heyday of Vaudeville. “Speaking in public not death is the number one fear,” says Anderson. “In a club, the comedian stands alone, onstage, talking.” Anderson thinks audiences come to marvel at how a comedian does what she or he does, as much as they do for what she or he says. Anderson is a truth-seeking comedian. “Why,” he says, “can critics seldom do what they criticise?” Does karma exist? “Everybody in comedy knows it does not.” Club owners can be tyrants, without payback. After Anderson met his wife, Laura, he moved to Toronto. Radio always charmed him. In Toronto, he found a job, filling in for holidaying radio talk show hosts. He was in heaven; radio by day, comedy by night. Allison Dore guested on his radio talk show. They worked well together and created a daily radio podcast. After one hundred podcasts, Joe Thistel, programme director of SiriusXM, hired them to co-host a show, weekdays from 1 pm to 4 pm. Anderson has a quick, agile intellect. His first novel, “I’ll be here All Week,” shows much wit and ingenuity. This well-written story is of a middle-aged comedian realising his career peeked, while he was having fun; he has nowhere to go, but down. A second novel, “All that’s Left,” deals with twins, death and romantic rapture. A haughty Torontonian goes to Singapore to claim the remains of his brother; he falls in love with the secretive girlfriend of his dead twin. In this interview, Ward Anderson, an entertainment polymath, talks of comedy on the road, radio, finding love and writing novels. Grub Street (GS) Stand-up comedy is similar to wrestling, I think. Ward Anderson (WA) Yes, both have minor leagues. Both have A-lists. Both need workers to tour, extensively. Comedians tour clubs. Wrestlers tour the independent circuits, working mostly in high school gyms. Everybody is fighting for attention and a chance at the big show. GS Is that a pun? WA I guess so. Sometimes comedians and wrestlers reach the top, quickly. Then they are gone, fast, maybe faster, back to the minor leagues. Any time anyone is on top, she or he is always in jeopardy of falling back, without warning; suddenly losing popularity for no reason or it seems. Slow and easy progress to the top is better. Mostly, indie wrestlers perform for fifty dollars or less; he or she loves wrestling and entertaining. Starting comedians may work free. Money is not the point. An indie wrestler performs hurt, broke and in half-empty bingo halls. A starting comedian works to a small audience. She or he often works tired and ill and is on borrowed money, they likely will never repay. Comedians and wrestlers thrill at the thought of entertaining a crowd, large or small. “Rowdy” Roddy Piper, a legendary wrestler, guested on my SiriusXM show, “Ward and Al,” a few times. Other wrestlers also guested on my show. When Piper was on my show, we talked, at length, about the remarkable likenesses of wrestling and stand-up comedy, as work. This is why I watch wrestling, as I can; it reminds me of comedy. My co-host, Allison Dore, is into wrestling, in a big way. This gives us much to talk of on the show. WA However is my favourite word. WA Impossible is my least favourite word. I do not think anything is impossible. "Ward and All" on SiriusXM. GS You do a show on SiriusXM. WA Yes, I do a weekday show, “Ward and Al,” on SiriusXM, Channel 167. Our show airs from 1 pm to 4 pm, as part of “Canada Talks.” Allison Dore is my co-host. I am a conventional radio person as well as a comedian. Allison is not a radio person; she is a stand-up comedian. Our chemistry works, well. Al and I met at a comedy club; we were on the same bill. At the time, I was filling in for Jim Richards, on Newstalk 1010 AM, in Toronto. That week,” Vanity Fair” published an article, by Christopher Hitchens, in which he said women were not, could not, had no need to be funny. I needed a female comedian to come on the show and talk of the Hitchens idea. I called Allison, asking her to the show and talk of women and humour. The idea was we would talk for, maybe, fifteen minutes; she stayed for an hour and a half. The callers loved Allison, loved our chemistry. I was jockeying for a full-time AM radio job, but then I thought of a co-hosted show. Why would I want to overlook the on-air chemistry with Allison? I called Allison, told her what I was thinking. She said, “I have been thinking similarly.” We were on our way. There was an opening for an FM morning show in Toronto. I went to Howard Glassman; he put together a great audition tape for us. Alas, we did not get the job. Glassman said, “You and Al are great together. Why do not you do a podcast, until you get a job?” I said, yes, but only if the show recorded in a radio studio and sounded as if it were a radio show. Al and I did the podcast as a daily show. We went to a studio, five days week, booked the show as a radio show and did roughly an hour each time. The finished podcast sounded as if it were a daily radio show and grew increasingly polished. I had sent copies of the podcast to SiriusXM, but heard nothing. Once we hit the one hundredth podcast, I heard SiriusXM was looking for new talent, new ideas and so forth. I sent another podcast as an audition to SiriusXM. Joe Thistel, the programme director at SiriusXM, called me and said, “Let’s talk.” He said he received a great many auditions, but ours was the only that sound as if it were a radio show. After that, Allison and I had many meetings with Thistel and others at SiriusXM. We signed on to SiriusXM for a ninety-day trial. After thirty days, Thistel said, “We do not need the rest of the trial. We want you full-time, now.” That was roughly two years ago. GS What do you talk about on the show? WA We talk about any topic. The other day I complained, at some length, how a taco salad was not a salad, at least in any traditional sense. My co-host for the day, Patricia Jaggernauth, brought up how Seattle’s Best Coffee, a Starbucks brand, was now available in eatable cups. GS There are rumours that SiriusXM does not pay well. WA They pay us a decent salary. My stand-up performance fee, of course, went up, which is a bonus; ditto for Allison. It is all good. GS You worked, full-time, as a comedian. WA Yes, for 12 years I toured comedy clubs across North America. I still do stand-up comedy. I only stopped doing the road, full-time, when I joined SiriusXM; that was in March 2013. Until then, I was on the road forty-six or more weeks a year. GS I am surprised there were enough clubs left for you to work that much. WA There was not, I rebooked into many clubs, as the number of clubs shrank, fast. That is one reason Sirius XM was a godsend. I had been actively seeking to get more into broadcasting. I was a radio fill-in-host, on Newstalk 1010 AM for a while, covering holiday and sick-time off for the regular air staff. I like radio. Luckily, as comedy clubs closed, I had begun negotiating with Sirius XM. Two months before the Sirius XM job, I landed a two-book deal, with Kenningston Books. My second book, “All that’s Left,” comes out in April 2015. WA The chase turns me on. GS When did you start doing stand-up comedy? The first time I walked up onstage to do stand-up, I was eighteen years old. I was at the University of Georgia in the Athens, Georgia. There was a young comedians club at the school. I asked if I could join the club. They said everyone’s welcome. Come to our next show and you can do five minutes. I went to the show, did five minutes and did not baulk. I have not stopped performing since. The club would arrange a show roughly once a month; I did those shows for the rest of the time I was at the university. When I graduated, I was twenty-two years old and I had a decent ten minutes act. I had a good audition tape and got some emcee work, locally, in Athens and on the road. In those days, a club put emcees up in a hotel; today, plan to live in your car and panhandle for food, if you emcee. Emcee work did not pay enough to live on, though. I went into restaurant management. I was managing restaurants and doing stand-up as I could. I managed a restaurant, in New Jersey, which was next door to the hotel where the WWE wrestlers stayed. Over time, I met most of the wrestlers, the opening acts and the A-list, as well. The likenesses to stand-up comedy were remarkable. GS Of the WWE wrestlers you met, whom did you like the best. WA They were all great. Yet, Paul Wight, “The Big Show,” was the best. I would not see him for a year, but he would remember my name, what we talked of the last time we met and so forth. Wight has never been the face of the WWE. Still, he loves the business and it shows. This is why he is a huge star, with a huge fan following. GS More punning, I think, let’s move back to your comedy career. WA For years, I took any and every opportunity that came my way. If a stand-up booking or even an open-mike chance appeared, I took it. The full-time job made it feasible to work stand-up, as I could, but not as much as I wanted. How I sold liquor caught up with me. Then I took a sales job, selling wine and spirits. It was a no-brainer job. The product sold itself. If I would have been smart, I would have done job, well, and, today, I would still be making a ton of money. What I did was I took the job, selling spirits, knowing the liquor would sell itself. Instead of visiting my clients, the restaurants and bars, I would call them; I was playing gigs on the road, maybe fire hundred miles away. I would be in another state, doing stand-up. I would take their orders over the phone and then call the orders into my office. Most of my accounts never saw me. I made much money that year, but I was not ever at the job. I was on the road trying to become a comedian. The liquor company was underwriting my stand-up career, without know it for the longest time. One my shenanigans caught up with me. My boss, from the liquor company, wanted to see me. He said everyone knew I was not visiting my accounts; he fired me, with a little severance pay. The clients had not complained. The boss admitted I did my job; that is, sold more and more liquor. The company did not want to set precedence with how I did the job. I paid off my debt, with the severance, and moved on. A year later, I was again in as much debt from trying to make it as a stand-up comedian. One must invest in one’s career, I told myself. GS You have to pay to be a comedian. WA Yes, but I kept at it, building and building. From roughly 2003 to 2013, I worked as many as forty-nine weeks a year. It was often tough. For year and a half, at least, I did not rent an apartment, or live in a house. I put what I owned and did not need, with me, in storage. When bookings were short, I lived in my car. A hotel room was usually part of a booking; that is was better than my car. A few clubs owned a condominium; I stayed in those while I worked the club. If no one was coming to stay in the condominium, I might stay on after my booking completed. If a hotel had a good rate, I might stay on a few days after my booking. Sometimes I stayed with my parents. Mostly, I tried to avoid living in my car. After a decade of this hobo-like lifestyle, I decided to rent an apartment. I am a dual Canadian-USA citizen; once I moved to Canada, I married. Still, I worked at least forty-weeks a year on the road, doing stand-up. GS How can a connection, which ends in marriage and a child, develop when you are on the road? WA Many late night phone calls. I say a stand-up comedian is lot like a teenage boy. We, my wife, Laura, and I, forged a strong connection over the phone, for hours at a time. Once I met my wife, I would take every chance, every moment I had, to drive to Toronto to stay with her. Sometimes it was only Monday, Tuesday, Wednesday and I was back in a comedy club Thursday, Friday, Saturday. GS Vaudevillians called that a split week. WA Yes, then on Sunday, I drove back to Toronto to be with her, during what time we could have. She would fly out and meet me at some of the places I was going to be after the summer. She visited me in many places she had never been and wanted to see. I also tried to book myself in or near Toronto, as much as I could. That made our lives easier. It was a crazy time; I would go on the road for three weeks then take three weeks off, but we made it through. I love working the "Absolute Comedy" club in Ottawa. GS Did you work Ottawa? WA Yes, “Absolute Comedy,” on Preston Street, is one of my favourite places to work. Jason Laurens, a comedian, owns it. I think it is the best comedy club in North America. Ottawa is a political city, which often means uptight, yet audiences come to that club wanting to laugh. GS The number of comedy clubs is shrinking. WA That is true. The SiriusXM show I do and my years in clubs give me a boost. I think I can work smaller theatres, now, not only clubs, after years of trying. Twenty years ago, there were many clubs and much roadwork, but fewer than in the 1970s and early 1980s. The mistake I made, all those years ago, my curse, if you like, may have ended as my blessing. If I had stayed in New York City, doing ten minutes here and ten minutes there, as I could, television appearances may have come faster. I might have been a smarter comedian, too, trendier and, maybe, more respected by other comedians. Spending years working dive bars, all over North America, slowed my progress, but it made me a much better comedian. Today, if I find myself facing a tough audience, my experience helps me make the most of it. WA Close-mindedness turns me off. GS Hecklers can make an audience tough. “I will shout you silent” is how hecklers attack free speech. How do you deal with hecklers? GS That reminds me of kicking sand in the face of a ninety-nine pound weakling. WA Yes, there are always audience members that yell silly comments or second a comment I make. Those are not hecklers. That is audience participation. Fortunately, I do not get many hecklers. I have done hundreds of shows, over, say, fifteen years, in dives and classy clubs. I can only recall five difficult hecklers. GS You recall only five difficult hecklers across all those shows. WA I know, how is possible? I learned my craft in places where I had to fight hard for attention. I learned how to handle the drift in audience attention. I learned how to bring the attention back to me, subtly. On the road, all those years, I learned. I learned how to handle an audience. I learned how to ensure a joke works. I learned my craft. GS Bill Hicks said tour buses parked in front of a club meant hecklers. WA Yes, I believe him. It is interesting that road comedians do not get respect from audiences. They think she or he is a bar comedian, which does not carry much status. These comedians work all forms of clubs, across the country; I hear some comedians have worked behind chicken wire for his or her safety. Road comedians must learn to read the audience and respond in the right way; that limits heckling. She or he should be able to adjust, revise the material, say, for the audience; alter their manner. That, too, would limit heckling. I believe working the road, working every stand-up setting imaginable, helped me become a stronger comedian and rarely heckled. GS How did you decide to work the road, as a comedian? 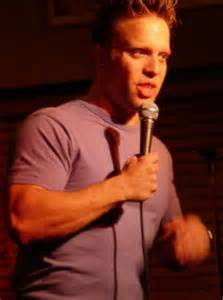 My first impulse, after graduating from university, was to hit the road working comedy clubs. WA My first impulse, after-school, was to work as a road comedian. I did not think of simply moving from Atlanta, Georgia, to New York City to start a career in comedy. I wanted to quit my day jobs and hit the road doing stand-up comedy. I say, “It is all about credits.” Clubs can use your credits, such as “The Tonight Show,” “Conan” or “Late Night with David Letterman” and even local television, to sell you to its audience. Today, clubs are all about television credits. When I began doing comedy, I worked as a feature or opening act for a headliner. We worked to sold out clubs. When I moved up to headliner, the clubs were only half-full; was it me. There was a waning interest in live comedy. Why pay for what you get free on television. Why hassle with traffic, parking, babysitters and so forth. Somewhere that changed. It used to be about the comedy club promoting, promoting, promoting every appearance. At the time, owners and managers said everything we, the comedians, do is hilarious; every comedian promoted as hilarious. GS Why not stay home and watch the comedian on television? WA That’s exactly what happened. I do a daily show on SiriusXM. Today, when I appear in a club, the owner or manager plasters SiriusXM, in large type, on the poster. Club owners or managers believe my radio show more important than am I. Audiences seem only to want to share space with television or radio stars, for an hour or so. Sometimes, I think, if a celebrity comedian read names from the telephone book for an hour, everyone would go home happy. GS Is the comedy club the star attraction now. WA Yes, take “Absolute Comedy,” which has clubs in Ottawa and Kingston, Ontario. Lauren decided his club is the star. That no matter what act he puts onstage, it is hilarious; the audience has come to know they are going to love the show and they come back, repeatedly. That is Canada. In the US, a comedian must perform on television before she or he appears in clubs. Maybe he or she can emcee, without any television credits, but there’s little, if any, money in that job. Comedy, as work, has turned upside-down. In the 1980s, aspiring comedians worked clubs, on the road, and, after building an act and, maybe, a reputation, she or he went after television. Today, comedians chase television credits to get club work. Television needs roughly ten minutes, at most, less on “The Tonight Show” or “Late Night.” One ten-minute act will not satisfy a club audience. I am not sure I know what comedians do in such cases. GS That is interesting, ad-lib. WA Many of them find a way, I guess. I am not poo-pooing them. I only find it interesting the way comedy has flip-flopped; clubs made comedians, now there are fewer clubs and television makes the comedians that work those clubs. WA I tell people all the time, you want to have the most fun as a comedian you go to the suburbs. If you want to bust your behind, go to the cities. The cities are harder than the suburbs. The suburbs are more fun, they are, honestly. GS Many comedians, today, start their act with self-depreciation. Louie Anderson is a large man; he often starts his act by saying, to the audience, “I do not know if you can see me behind this microphone stand.” Dan Nainan will tell the audience he is half Japanese and half Indian, which means he gets his sushi from Seven Eleven. David Attell often opens talking about his baldness. Is this how you start your show? WA I do not do many appearance jokes. I do have a few, but I never start with an appearance joke. I prefer to start with something silly I did earlier that day, such as talked to a mannequin, while shopping at a box store. I try being a little smug. I do not insult audience; I am not a Don Rickles comedian. I try to smile, always, so the audience will like me. Sometimes I tease the audience over my appearance. “Yes, I know you are thinking, that's the guy from some old television show, ‘Happy Days.’” I might say I am the younger brother of actor Gary Busey or I am Brian Johnson, the Antony Michael Hall character from the movie, “Breakfast Club.” The reference to Gary Busey gets a strong reaction. Most people fear public speaking more than death. GS Why are we enamoured with comedy? WA I think it is not so much comedy as we like comedians. The number one fear, among humans, is not death, but public speaking. It is captivating to watch comedians, as they supposedly speak effortlessly in public and take risks for laughs. GS So the audience believes. WA I am not sure being funny is even part of the appeal of comedians. The idea of standing on a small stage, talking, terrifies most people. Trying to make the audience laugh from that location is beyond understanding. Comedians do that every time they go to work. GS Comedians appear not to fear the intimacy of a small stage and an audience. WA It is the intimacy and, I think, some fear of intimacy attracts audiences to comedians. A comedian is someone who not only is a public speaker. She or he is public speaking two feet from the audience, with much courage, and no seeming intimidation. I do not know if the audience feels the same way about actors in live theatre, as they do with comedians. I think audiences connect with comedians in a club more than they do with actors onstage; the closeness creates intimacy. Everyone knows actors have scripts, but not that comedians also have scripts, so the comedian seems more enthralling. GS There’s a comedian that, in the late 1990s and early 2000s, could sell out arenas holding fifteen thousand or more. Mostly, this nameless comedian ran around the stage, jumped-up and down, fell-down, rolled around on the stage and yelled a great deal. How does he fit your idea of fascination with public speaking? WA Well, I know of whom you speak and I can tell you what he had. One no one else was doing what he did. I mean being physical, in a comedic way. Into the early 2000s, alternative comedy was hugely popular. GS You are suggesting this nameless comedian was an alternative. WA Yes, so, too, was Janeane Garofalo; she was also hugely popular in the late 1990s and early 2000s. She sat on a stool and read material from her notebook. There were many others, too. At the time, there were two camps: alternative comedians and blue-collar comedians. A third camp might include a few A-list comedians, such as Steve Harvey or D L Hurley. There was not much mainstream comedy. Our nameless comedian comes along. He is running around the stage. He is falling down, but not in a Jerry Lewis way, that is, spastically, as if disabled. He is throwing water on himself and so forth. His physical comedy was an alternative to the alternative and blue-collar comedians. The audience would think, “What is with this?” Then he fascinated them because he was a version of public speaking. It takes much self-confidence to what this comedian did. A second reason for his popularity was he catered to a college audience. Again, no one was engaging the college audience, at the time. Some comedians worked colleges doing mainstream material; they did not succeed, well or for long. Our nameless comedian aimed directly at college students. He had off-the-wall pop culture references in his jokes; he integrated the “Transformers&rdquo cartoon from the 1980s into his act; first hit, he was only comedian do jokes about it. He was goofy, manic and ridiculous, which was hugely popular among college students. Last, he embraced the Internet more than did any other comedian. His college audience was familiar with connecting via the Internet. He joined his audience, on the web, for all it was worth. GS He was in the right place, at the right time and fearless. WA Yes, now everyone does what he did, a decade or two ago. He saw what was happening and acted fast. He was physical when few other comedians were physical. He went after the college audience, in a specific, direct way, when no one else would or could. He understood the potential of the Internet, early on, and used it for his benefit. GS Any time there’s a void in comedy, let alone three, someone will move to fill it. WA That is for sure and this fellow filled three voids, simultaneously. GS Is our nameless comedian still working? WA Sure, although I heard he took a year or two off for personal reasons. I also heard he recently filmed a pilot for a new television show; someone is always pitching him for one pilot or another. He continues to sell out theatres. GS He is big on self-promotion, which keeps him warm, at least, when he is not touring or on television. WA Yes, for sure, his audience remains large and they will turn out to see him. He built a base. Now, he can work that base while he expands his appeal. "I'll be here All Week": a novel. GS Bill Maher wrote a book, “True Story,” in the middle 1990s, which dealt, fictionally, with comedians working the road. A jacket comment, from Jerry Seinfeld, is better than the book. Seinfeld said, enjoy the book and forget the romance of the road for comedians, it does not exist any more. WA It is true. The world Maher described does not exist, at all, any more. It was in fast decline when he wrote “True Story.” It will not return. As I said, credits are everything today. It is crazy how I managed to work for a decade, with almost no television credits to my name. I was lucky, I think. GS What if there were no longer any clubs for comedians to work. WA When I started featuring, full-time, all those years ago, I worked with a talent agency tied to the a string of comedy clubs. I sent an audition tape, made a phone call to an agent and got twenty-three weeks of work, in return. GS That is a good pay off. WA For several years, I got half my work from this agency, with a phone call or two. Then came a time when the agency could not give me much work. Chances to work the road, to tour, all but dried up. I still do comedy. There will always be working comedians. The work has changed, for good; there’s no going back. Every large city in Canada and the USA has at least one comedy club, a “Yuk Yuks” or “Improv.” Some comedians, especially those with television credits, will work these clubs, but likely for less money than a generation ago. Opening acts and emcees work for less, too. The “Improv,” which still exists in large cities, was never part of the road for most touring comedians. Those clubs book A-list acts, only. A-list acts fly in and fly out of the city, staying longing enough to work a set or two at that A-list club. Some comedy clubs profit from a steady stream of strong B-list comedians, such as me. Occasionally, a club will book an A-list a comedian, mostly to reignite audience interest. Otherwise, these clubs do well booking B-list acts, which the audience enjoy. GS You wrote a novel, “I'll Be Here All Week,” that focused on stand-up comedy. WA Yes, when “I’ll Be Here All Week” published, one of the first comments from comedians, after they read the book, was, “This is ‘The Wrestler’ for comedians.” That was a huge compliment for me. GS I should interject how “The Wrestler” is a movie about minor-leaguer that worked the “indie circuit” his entire career. Mickey Rourke starred as an over-the-hill indie performer in the 2009 movie, “The Wrestler,” written by Robert D Siegel. Many people read my book as an allegory for wrestling. I did not even intend it to be way, but many people read it as if it is an allegory for wrestling. Most said, “Oh my gawd, you wrote ‘The Wrestler,” for comedians. When I began to write, “I’ll Be Here All Week,” I said I would not write another rags to riches story. I wanted to show a realistic story about a comedian who suddenly begins to realise he peaked and has almost nowhere to go. Where do you go when you are a middle-aged comedian that peaked? WA I would love it. I would be lying to you if I said the book has sold like hotcakes this year, it has not. It has not tanked or flopped, but stuck in the middle of the list of best-selling books or so I understand. For me, I think, the big push behind “I’ll Be Here All Week” was my response to the movie “Funny People,” starring Adam Sandler. The movie did not represent comedians, well. There’s a scene, in the movie, with a bunch of famous comedians, in a bar, hanging out; they are topping each other with one joke after another. That is not the case. Get five comedians together and it is an hour of bitterness. Comedians, as do workers in any business, need to vent; that is what they do, mostly, when they get together. “Funny People” gives its audience the idea a celebrity comedian would hire an open-mike contestant, an amateur, to write for him or her. This open-miker has not succeeded, has not done a good show, yet a celebrity comes along and says, “Hey, I am going to hire you.” “Funny People” is akin to a Frank Capra movie from the 1940s. GS Maybe the open-miker had the right cadence to appeal to the celebrity comedian. WA I do not know. “Funny People” is not a bad movie. Every time I see a movie about a successful comedian, it is a rag to riches story or the story of how a famous comedian made a star of an inexperienced open-miker. “I’ll Be Here All Week” sets the record straight. GS Does any movie depict the life a comedian well? WA Probably the best depiction of a stand-up comedian, in a movie I have seen, is “Mr Saturday Night,” starring Billy Crystal. Yes, he does a rag to riches story, but the comedian does not fall back into rags, at the end. The comedian has a career, retires, comes out of retirement, but he always self-sabotages along the way, he only wants to work. GS Do you have any idea who Crystal modelled the comedian on? WA No, but I feel if, he were to ever confess, it would be a big star that was always the shadow of others, say, Joey Bishop. He was part of the “Rat Pack,” led by Frank Sinatra, and had a late night talk show for two years in the late 1960s; Regis Philbin was his sidekick. When people think of the “Rat Pack,” Sinatra, Dean Martin and Sammy Davis, Jr, come to mind, not Joey Bishop. GS You have a second book, “All that’s Left,” publishing on 28 April 2015. WA Yes, it is three stories in one. A fish out of water, coming of middle age and a love story combined into one. I wanted to write a story of a twin brother that loses his brother; what’s it like to lose a twin. I am not a twin, but I have known many. In college, I roomed with twins. As well, I knew more than one twin that, after his twin passed away, married or dated the girlfriend or ex-wife of his dead brother. I also knew of several cases of one twin dating his twin’s girlfriend, after they broke up. I wanted to write about these topics, twins that lose one another and women or men romantically involved with twins, for a long time. I was working in Singapore during the Christmas season, 2011. I am a huge Christmas person. “All that’s Left” takes place during the Christmas season. Christmas in Singapore, an ostensibly a non-Christian society, has a remarkable feel to it. From that moment, I wanted to find a way to set “All that’s Left” in Singapore. I wondered what if twins fall in love with the same Singaporean woman. The twins started life as identical. One twin is a stuffy, snobby wine sommelier from Toronto; he’s unbearable and has mean streak. The deceased twin was a tattooed, long-haired free spirit. The stuffy twin goes to Singapore to reclaim the remains of his brother. When in Singapore, the unbearable Torontonian falls in love with his brother’s girlfriend. Yet, he does not know how she loves him. Does she love him for himself or does she love him for whom he looks exactly like. He does realise his brother’s girlfriend is hiding something from him. He can’t figure out what she’s hiding. In the end, the mystery clears up. GS What does a stand-up comedian from Atlanta, Georgia, think of Singapore? WA Although I love the city, like Atlanta, Singapore is ridiculously hot all the time. If Singapore had the same climate as Toronto, seasonal temperature changes and such, I’d like it much better. Singapore is a gorgeous city, with wonderful people, entertainment and nightlife. Still, it gets too humid. I can only spend a week or ten days in Singapore. Skyscrapers are everywhere. Singapore puts most North American cities to shame, with its spectacle and size. It’s remarkably clean, too. In the middle of the day, the temperature is 103 Fahrenheit, with ninety-eight per cent humidity. Yet, people were walking around in three-piece suits. I know it is how you grow up, but it is Christmas time, sweltering heat and three-piece suits, everywhere seem out of place. Door attendants, at hotels or restaurants, greeted me dressed in full Santa regalia. Full red suits, phoney beards and so forth, in 103 degree Fahrenheit heat, with ninety-eight per cent humidity. Full Santa costumes in the worst heat imaginable to someone from North America. One of the first characters the reader meets, in “All that’s Left,” is a door attendant in full Santa regalia. This character grounds in a particular person I met. My taxi pulled up to a hotel and a fellow came running out, in a full Santa costume, to greet me. Singapore has remarkable architecture. There’s a building, I think it’s called the paper building, which, if you look at it in a certain way, appears two-dimensional. There’s another building, colloquially called, “The Batman Building,” based on Gotham City Hall in the movie directed by Tim Burton; it’s a gorgeous skyscraper. Everything about Singapore fascinated me. People eat with their hands. People even eat rice with their hands; they reach in the bowl and scoop out a handful of rich. "Seinfeld" barely holds up in re-runs. GS You mentioned “Seinfeld” before we started the interview. Do you still watch “Seinfeld”? These days, I watch “Seinfeld” at the gym. I watched several episodes, the other day, while on an exercise bike. I thought the humour was 1990s and did not hold up, at least for me. Maybe it was the episode. GS What is your favourite sitcom? WA That is easy, “Frasier.” To this day, I watch “Frazier” all the time. The show makes me laugh aloud. The topics are timeless: dating, getting along at work, family and so forth. GS Yes, “Frasier” dealt with middle age people, not dating or marriage age people, as most sitcoms do. WA That is the lasting appeal, of “Frasier,” a wider range of topics mixed with great actors. Since “Seinfeld,” the sitcom formula is to find a good stand-up comedian and surround him or her, say, “Roseanne,” with strong actors. The actors carry the show and the comedian delivers the jokes. “Frasier” did not follow that formula. The producers plucked a strong character from an A-list sitcom, “Cheers,” and dropped it into a show that continued the storyline for that character. A-list actors paired with A-list writers propelled “Frasier” through eleven seasons, without a stand-up comedian as the central character. GS This gives “Frasier” lasting power. WA I think so. The characters, on “Frasier,” are legitimately forty-something. Thus, the show has wider appeal and lasting storylines. Seasoned actors portray the characters, too. GS Comedians, when starting out, are on the outer the edge of society looking into the centre for jokes and observations. George Carlin is a good example. When the comedian finds success, maybe excluding Carlin, he or she does safer, blander comedy. WA Without question, I agree. It is much the same in music. Eric Clapton, say, seemed much edgier in the 1970s than he is today. Now, he is a wealthy, happy senior citizen; he has all he wants and there’s no need for a rebellious edge in his music. In my act, I talk about Eminem. “What could Eminem be rapping, angrily, about now? He is one of the richest people in America; he is one of the richest musicians of the past twenty years. What can get him worked up? College tuition for his children is eight miles high. He needs an oil change for his Ferrari. What can make his angry?” He is part of the social centre. GS You do not do observational comedy. WA For the longest time, I was an observational comedian. Since I married and we have a baby, Marlowe, my act deals with marriage and children, which are observations, I guess, about family. The new, less edgy act works well. I find more success, with it, as I hit middle age. GS Yes, but it is your experience coming into play. GS Steven Tyler, of “Aerosmith,” says sixty-six is the new fifty. WA I hope so. Edge changes with time and experience, I think. As I age, I see the world differently. Louis Black, he is sixty-six, is constantly getting angrier at the state of politics in the world, today. Black did not start doing comedy, seriously, until he was roughly forty years old. He had much catching up to do as far as his edge went. His theatre background helped him a great deal as does his experience as a playwright. When Black started in comedy, there were a great many more clubs to work, to try out new material, to fail or succeed. He could tour, which allowed him to polish his material. Today, that is almost not possible. GS Black is touring, right now, but he’s working theatres and the show promotes as a rare event. WA True; many comedians turn to political humour as they age. Bill Maher was not originally a political comedian. Once he turned forty or so, he segued into political humour. GS As people age, especially men, their political interest increases. WA Carlin had serious edge because of the tragedy going on in his life. His wife was dying of cancer. He owed the government back taxes, which he spent years trying to pay. He constantly worked the road, theatres in his case, to pay his bills. Thus, his acting career never came to be, the way it should have. It took much longer to get where it did, which likely was not far enough. Carlin had reasons to have a serious edge. After his wife died, he cleared up the tax issues. Suddenly, Carlin falls in love, again, with the woman he was with until the day he died. He was different for many reasons. Watching his next to last television special, his material comes off as much weaker and, for Carlin, bland. Harking back to his work in the 1970s and early 1980s, he spends much time, during the special, talking of picking a scab off his forehead. In his last special, he returned to observational humour, his lists of complaints and grievances, which are much edgier. GS I agree, but I also think his early material, from the 1960s, the “Hippy-Dippy Weatherman” and “FM DJ,” was edgy. Until the late 1960s, the world was a simpler place that Vietnam and the baby boomers complicated. WA Yes, there are those considerations, too. I agree. GS What do you think of Rickles? WA I love Don Rickles. I have always loved Don Rickles. I have a 1966 video, “The Best of the Dean Martin Variety Show,” on which Rickles does twenty minutes. Think of it. A comedian goes on “The Tonight Show” or “The Late Show” and does four or five minutes. Rickles does twenty minutes, at full pace and likely without much of a script. The same routine is on YouTube; anyone can watch it. The singer, Pat Boone, is a conservative fellow; Rickles pulls him onstage and goes at him. The audience is full of stars; Rickles tells someone else in the audience that he will not invite him or her onstage for fear his wallet disappears. GS No one would get away with those comments, today. WA Everyone knows Rickles is kidding. He apologises, at the end of his show, even today. No one could copy Rickles, today, and work more than one show; it would be career over decision. In 1981, Rickles worked the main party during the Inauguration of Ronald Reagan, as President of the USA. He says, to Reagan, “It is great to be here Ron. I am glad to pay to fly all the way from Beverly Hills, for no money.” Then he drops the microphone and slaps his forehead at the same time. Today, if something throws me off during my act, a cheap laugh or a bad comment from the audience, I drop the microphone and start to walk offstage. It always works. I thank Rickles for that. GS What do you think about his apologising. WA I can understand. He wants to know everyone had fun. He does not want anyone going home honestly insulted. GS Years ago, I heard clubs charged a premium for front-row seating for Rickles and those tickets sold out first. WA If I tease anyone, during my show, I try to buy her or him a drink afterwards or, at least, shake her or his hand. I am not an insult comedian, I should say. Still, occasionally, I improvise with members of the audience, if I am in the mood and she or he responds well. Sometimes, my material bores me or the audience is not as fully with me as I wish. Then I try to improvise with the audience. It is a good chance of pace for the audience and me. GA You work with Matt Dusk. WA I open for him, now. We do a rat pack act, but, honestly, it’s more Martin and Lewis. This is different from my regular comedy club act. Usually, I do an opening song and then bring out Dusk. That is when we do our Martin and Lewis act. Throughout the show, I keep coming out to mess up his act; he pushes me offstage. His audience loves our act. Dusk appeals to an audience that usually has a long memory. We have a great time. GS That is “Rat Pack” humour. WA Working with Dusk, I work the larger theatres, with larger audiences, which he regularly works. Audiences for his theatre shows are different from audiences in comedy clubs. In a theatre, I wear tuxedo; in a comedy club, I can wear a tee shirt and jeans. Yes, we do much rim-shot type humour. We do one or two humorous duets, maybe a soft-shoe improvisation. It is all fun for the audience and us. GS It seems akin to vaudeville, more general entertainment. WA Yes and the act happened, without much planning. We did the Martin and Lewis act a few times; live audiences continue to like such entertainment. Then bookers wanted to ensure we would do it and maybe more. A rim-shot ends the bit and the band plays along. I sing a few songs, mess up the words, much the way Tommy Smothers does it. The audience loves act and so do we; it is fun. GS Have you made it. WA I think most people, in the business or in the audience, would say I made it. I was lucky. I prepared well and long. I work better rooms, now. I guess I made it. I do not, never did, work the “Improv” chain, as I do not have many television credits. SiriusXM is where my noticing comes from, these days. Cadillac gave me an advertisement, in 2013, because the company noticed me on SiriusXM. Stand-up hones your talent, but television or SiriusXM gets you noticed. If only I would have started at what I thought was the goal, the top, television, my career would have flourished decades ago. Yet, who starts at the top and stays there for long? Knowing people gets you noticed in stand-up. Kevin James, from “King of Queens” and movies, such “Paul Blart: mall cop,” did stand-up before he landed the television sitcom. 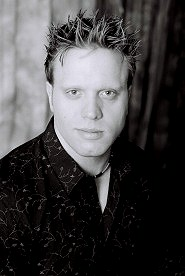 His brother, Gary Knipfing was also a comedian, working under the name, Gary Valentine, and without much recognition. Valentine got a role on “King of Queens.” and, afterwards, his bookings soared. GS That is a good anecdote. WA Suddenly, Valentine goes from being a busy working comedian, an acclaimed working B-list comedian, to selling out in big places. Patton Oswald is another fellow that worked the stand-up trenches for years. He, too, landed a role on "King of Queens" and and now he sells out theatres. GS They are all making it off this show. WA Yes, some comedians do make it as big, as did Gary Valentine and Patton Oswald, before their television work, Brian Regan is an example. Jim Gaffigan is another example. There are some. GS This has been great. Lew Hanson (1949), "Living 1949," aired on NBC. Bill Maher (1994), "True Story: a novel," published in reprint edition by Simon and Schuster on. 1 October 2005. Ward Anderson (2015), "41 Things I've learned at 41," published 10 July 2014 and up-dated 9 September 2014. ----- (2015), "All that's Left," published by Kenningston Press. ----- (2014), "I'll be here All Week," published by Kenningston Press. Click here to watch Ward Anderson perform.